Today is the first day of 2015 and most people are probably contemplating resolutions and goals and plans for this fresh new year. I'm not one for getting too caught up in resolutions, but I really do love January because it always feels like a fresh start. Time to put away the Christmas decor and jump into a 30-day organizing challenge, yeah? It's also the time when a lot of people mentally gear up and prepare themselves to tackle a one-year Bible reading plan-- determined that this will be the year they get through the whole thing and won't fall so far behind its irrecoverable-- only to be discouraged and ready to quit by February. That's always me, by the way. I start strong and tackle Genesis and Matthew with gusto (because that's where all the plans start), but six weeks in I'm pretty much done. It usually happens somewhere in the middle of the reading desert I affectionately refer to as Leviticus. All this changed for me, though, when I discovered Professor Grant Horner's Bible Reading plan a couple of years ago. It's the first one that has made sense to me and kept me both excited and free from discouragement, which is kind of surprising considering how daunting it can seem at first. Now, don't let "10 chapters a day" freak you out. My first reaction when I heard it was, "Say whaaaaa?! Who has time for that!?" But the truth is, I do have time, I just tend to spend it doing other things *coughFACEBOOKcough* Also, this plan gives so much grace, it really can work for anyone, so hear me out. Honestly, clicking on the link above is the best way to get a comprehensive overview of this plan (that's the post I originally stumbled across) but I will try to sum it up. 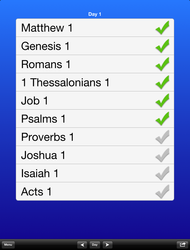 The Bible is divided up into ten different "lists" and each day you read one chapter from each list. When you reach the end of one of the books on your list, simply go to the next book on the list and start on it, one chapter a day. When you've read all the books on the list you go back to the beginning of the list and start with the first book again. There's no start date or end date; you are just continually in the Word but you're never behind. If you read through how the books are divided up, it's really an amazing concept. Every day, all year long, you are reading from the gospels, Psalms, Proverbs, the book of Acts, the pentateuch, the epistles, AND from the prophets. I love the variety! I don't get bogged down in some of the books that are more difficult because they are offset with others that are easier/more enjoyable for me. I am cycling through the books much more frequently than with other plans. There is no "falling behind" because there are no dates attached. If you don't have time for ten chapters that day, that's okay! Read what you can and the next day pick up where you left off. Some days I get five read, some days two, and some days more than ten. Some people read five chapters in the morning and five at night, or five one day and the other five the next. Either way, this plan just helps you remember where to start and to keep moving forward wherever you're at. 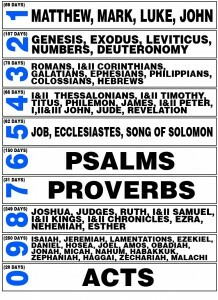 A lot of people like to use ten different book marks that they keep in their Bible and just move along as they read each chapter. This is what I did when I first tried this plan. If you do a quick google search there are a LOT of free printables for bookmarks for this plan. Created by Nwbingham.com Click on the picture to visit and download the free bookmarks. There's also an app, if you're so inclined. But what's been working best for me lately are these great (free!) printables from JalandOak that have each chapter for each book on the list so you can mark them off as you go along. I find it very motivating to color in the circle when I finish reading the chapter, and it also helps me instantly see where I'm at. I keep the stack in the back of my Bible and just start with whatever list is on the top of the stack that day. Highly recommended! Now, obviously I haven't been using this system for two years solid, otherwise I would have made it through the Bible by now. Shortly after I started using it the first time I hit a rough patch that derailed me for a bit (funny how that always seems to happen) and I spent some time in a pretty dry and lonely season. I wish I would have stuck with reading my Bible because that "rough patch" undoubtedly wouldn't have lasted so long, but God is so faithful and His kindness always draws me back. I started again on December 17th and didn't even start at the beginning of some of the lists. I started right in the middle because there are some books I have read a hundred times (Genesis and Matthew anyone?) but others I'm not as familiar with (e.g. Revelation), so I chose to start there. I have no guilt because the lists are cyclical and I know I will get to the other books eventually. You seriously can't mess it up. What about you? Do you have a Bible reading/study plan that really works for you or something you're excited to use in this new year? I've had writer's block for about 2+ years now. Not because I don't have anything to say, it's just that there is always too much to catch up on for one post and I never know where to start, so it feels overwhelming. But I want to be able to pop in and blog occasionally without the awkwardness, so I'm just going to throw it all out there and see where we land. Ten on Tuesday. Buckle up. 1. Tonight when I was eating dinner, I think I inhaled a piece of rice. Not into my lungs, like up into my nose somewhere. I'm pretty sure it's still there. Can your body absorb a piece of rice through your nose? I'm hoping yes because I haven't had to confess to a doctor that I have something up my nose since I was seven and I really don't want to start now. 2. There was a time in my life *cough*last year*cough* when I felt bad for moms who told me they homeschooled. I couldn't wrap my brain around how they could wear that many hats and get everything done and not go a little crazy. God thought that was funny, so he made me a homeschool mom. 3. I'm pretty sure that any blog posts that come down the pike from me in the near future might be homeschoolish in nature. So, apologies in advance and no hard feelings if you unsubscribe. 4. Rowan is 7 now (I know, time flies) and he's been heavily hinting for months that all he wants in the world is a dirt bike or a guinea pig. He follows this up quickly with, "And since I know dirt bikes are way too expensive and probably not safe, I will be very happy with my guinea pig." I'm not sure if that was some sort of jedi voodoo he pulled on me or what, but here we are 36 hours till Christmas and I have a guinea pig living in my closet. Rowan is going to have a hard time wrestling it away from his dad, though. Why is he in a bathtub, you ask? Why WOULDN'T he be in the bathtub is my response. 5. Speaking of my husband-- he's decided to become a beekeeper. I thought maybe this was a passing fancy, so I picked up bee library books to show my support... next thing I know there was a bee hive being delivered to my house and all kinds of beekeeping paraphernalia. I'm still trying to catch him in his bee suit so I can take a picture, but he's wily and thus far has eluded me. 6. I was looking through pictures on my phone trying to decide what to include in this post, and found this inexplicable picture of Sarah Palin with random bearded dude. I've puzzled and puzzled until my puzzler was sore, and I still have no clue where it came from. That makes it funny...and weird... seriously, those are some sassy pants and shoulders. Where did this come from?! 7. Remember these cute stars I bought in 2010? This is the first time EVER we have gotten them hung as I originally envisioned for Christmas. My husband did it all on his own and he did good. 8. I recently read this book to the boys as part of our homeschool curriculum. It was a booger to read (hard dialogue, lots of voices), but it lights up my day when I hear them discussing Pooh Bear and my youngest two are in an unspoken bouncing competition. They each want to be crowned Tigger because the wonderful thing about tiggers is he's the only one. 9. Tomorrow is Christmas Eve! 10. I'm too tired to think of a tenth thing for this post. Merry Christmas to all, and to all a good night! So, I may or may not have been avoiding the dentist since 2011. The guy just was not high on my priority list, what with the realtors and the house selling and the renting and the building of new homes and the moving twice and the living with friends and becoming homeschoolers and all that fun stuff. What's that, I didn't blog about any of that? Huh. Weird. Well, you snooze you lose, it's too late to go back, we must go forward! And that is why I am telling you about my trip to the dentist this week. So I haven't been in forever and I probably would have continued to ignore him, except I got a toothache. I haven't had a cavity since I was eight years old, but I am chock full of them now and they had to be fixed. Super lame, but what can you do. 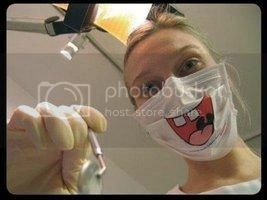 Now, I'm not afraid of the dentist. Doesn't bother me a bit to have someone drill a hole in my teeth. He even said to me, "I think we can do this without numbing you up, it's pretty shallow. You ok with that?" And I'm like, "Bring it, dude! I don't get out much, this is exciting." But here's the thing about the dentist. He gets a bad rap and you assume it's because he supposedly tortures everyone and makes their mouth hurt. Not so. He gets a bad rap because there is literally no one else on the planet who invades your personal bubble like a dentist. Not even my husband has ever sat for two hours, six inches from my face, and just STARED into my gaping mouth. Who does that? And it's not just him, either. He has an assistant who presses her head right up next to his, and they both hover above your gaping mouth and just stare at your face and up your nose with total concentration. It's one of the most unnerving things you can go through, I think. And they wait until your tongue is numb and then ask you conversational questions, like what are your kids names. So I'm lying there, partially upside down with my mouth hanging open and two strangers trying to climb inside it, and there is NOTHING to look at. It's either stare at their faces staring at my face, which is not an option, or I stare at the ceiling. I decided to skip both options and just close my eyes, just for a minute, you know? Suddenly, I'm opening my eyes and both the dentist and his assistant have kind of abruptly sat back and are staring at me. And he's like, "Are you ok?" I nod confusedly and do the gurgle answer thing, "uhhhh, uhhuh,"
"Did you just need to swallow?" And I'm like, "uhhhh, uhhuh?" So I put on a little show of swallowing, all the while wondering what the heck is going on. And then I realize that I must have fallen asleep when I closed my eyes and done something weird while asleep that startled them. Note: this is not me, I just find it entertaining. Now, I thought the dentist was awkward before, but nothing compares to realizing you drifted off while those people tinkered in your mouth and not knowing what you did that freaked them out. Did my mouth almost close on his hand? Did he think I was trying to bite him? DId I make noises? Did I jerk my arms? Because that happened to me once during a massage: I fell asleep while the lady was rubbing my feet and had an involuntary muscle spasm and almost kicked her in the face. True story (and also why I no longer get massages). Eventually he resumed and I spent the rest of the dentist visit trying not to fall asleep and embarrass myself further. It was hard, though, because you know the more that you concentrate on not falling asleep, the more your body wants to fall asleep, so you have to bug your eyes a little to keep them open. 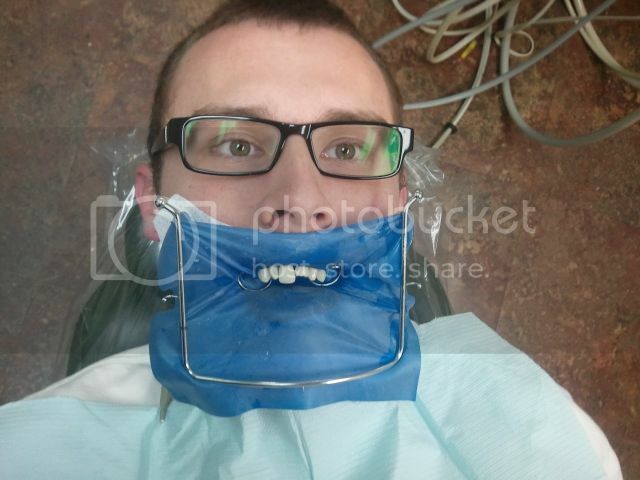 I'm sure the dentist loved that. But the good news in all this is that 1.) it gave me the giggles for the rest of the day, and 2.) it really could have been much worse. My dentist visit could have gone like Kramer's. So that's my 'Fess Up this week. 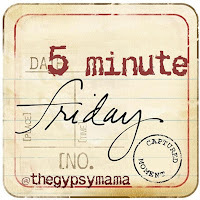 It's been SO LONG since I've blogged, if you have any Fess Up Friday posts that you've written recently, please leave me a link in the comments so I can come visit. I miss you guys! A review of the Minion Defense Task Force and a Giveaway! So if you don't remember who I am or why this email is in your inbox, so sorry. I'm Kira…let's be friends! I promise to write more about where we are and what we've been doing over the last year, because we've been doing crazy things like moving twice and deciding to homeschool, but that'll come later. For right now I have some exciting stuff to share with ya'll. Earlier this year I was contacted by the talented and extremely clever creator of The Minion Defense Task Force and asked if my boys would be interested in sponsoring a couple of minions to live in our home and take care of any pest problems we might have. So this one goes out to my friend, Jen. to make sure before you start that you have all the ingredients needed. you are no longer making brownies. You are making a really weird apple-flavored brown cake. Baby shower games, however, I'm not such a fan of. tasting unlabeled jars of baby food and deciding whether the orange goo is sweet potatoes, carrots, or mango-banana surprise. So much fun, these baby shower games. And until recently I thought I'd played them all. and instructed to pin a paper sperm on a gigantic uterus on the wall. It's going to be pretty hard to top that one on my list of traumatizing baby shower experiences. My boys are finally home for summer and it's been freakin' freezin' around here, Mr. Bigglesworth. My garden almost froze to death two nights ago from frost in JUNE. I have nothing funny to add to that, I just thought you should know and feel sorry for me. "Relax I was just kidding!" This one gives me the uncontrollable giggles every. single. time. That last one is why I had to take a break from reading epic novels.... my boys just don't leave me alone long enough to have a good weep. Also, if you have an extra five minutes on your hands and you want the warm fuzzies, click on this link and go watch 60+ friends and family basically doing a flash mob proposal. 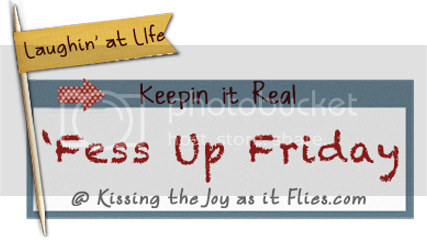 For the last week, I have been checking my own blog numerous times each day, always expecting it to be different. Updated. Changed. Blogged on. Something. I have come to the conclusion that if you want something done, you have to do it yourself. So let's have us a little Ten on Tuesday, and then maybe my neglected blog will stop haunting me. 1. Check this bad boy out. Nope, that's not a local you-pick farm. That's my in-laws "garden." Ha! 180 feet of strawberries, broccoli, onions, cabbage, carrots, etc. It's been a few years since our last garden and this time I helped plant it, so that makes me like an... honorary farmer. If you don't hear from me again this summer, send someone out to search the broccoli row. 2. Speaking of produce, I recently found out about the big secret everyone's been keeping. Bountiful Baskets! Seriously, who knew it could be so exciting to go pick up a mystery basket of fruits and vegetables each week? You just get on their website on Monday, pay for your basket ($15 for a normal basket, $25 for organic) and Saturday morning you go pick up a beautiful selection of fruits and veggies. You never know quite what you'll get, but it's always great and it's helped both my grocery bill and my creativity as I learn to use up what I have. This board on Pinterest has also been particularly helpful when it comes to recipe ideas. My kids get a kick out it too. This is Haydn letting me know he's pleased with the strawberries. Not so much with the veggies. 3. I'm so happy that spring is finally upon us. If you are already in full-blown summer weather, please don't tell me, I may cry. We had a couple weeks of gorgeous weather at the end of April and it made my backyard trees perk right up. But all those pretty white petals on the pear trees only last so long. 4. This is the last week of school for my big boys!!! Yes, you read that right. I used three exclamation points on that one, because I need to express some serious excitement folks. Remind me of this at the end of NEXT week if I tell you I'm going nuts. So, last week was spirit week. On day one, Greyson went as Thor (thank you, internet, for free printables of paper Thor helmets) and Haydn's class had a "pajama" theme. Because every 10-year-old boy wants to go to school in his pajamas. He was much more enthusiastic about nerd day. He came up with his costume entirely on his own, and was pleased with it, so I chose not to ask why he thinks nerds have Beiber hair and wear Green Lantern masks. 5. A certain little guy turned three on May 5th. Can you believe it? Three years with B. I have too much to say on that subject, it needs a post all its own. 6. My friend Connie and I set up a photo booth for Mother's Day at church and took almost 400 photos. Lots of work, totally worth it. 7. Raise your hand if you're excited about preschool boys, who were cooped up all winter, being able to go outside again. It's just the right size for my computer and inspired me to get my whole office cleaned up and re-arranged, which is the only reason I'm sitting here blogging now. 9. This picture makes me ridiculously happy every time I look at it. 10. Tonight, Brecken found an ant in his room and carefully carried it outside while loudly declaring, "Dis is my best fwend. Guys, dis is my best fwend!" Then five minutes later he came in, brushed his hands together and said, "I just killed my best fwend. Guys, I just killed my best fwend!" And there ya go. Ten things on Tuesday that have been backing up my mental blogging queue. I feel better now. It's this word that happens to you and you don't even notice it. The first time they place him on your chest and you take in that secret saline smell of your baby's first breath, it starts. You are no longer you. We are going. We are staying. We have a cold today so we cannot come out to play. We are going to Target. We left Target early because we had a meltdown. It's this thing that happens gradually over time and one day you catch yourself pushing your cart around the corner in Costco while making a motorboat noise, and you realize you left the toddler home with Daddy, but you still made the noise anyways because that is what we do. We are together, even when we are apart. And then you realize that this together, the together that means a plump little hand holding yours, the together of never using the bathroom uninterrupted ever, the together that means you can count on a warm little body crawling into your arms for a good five minute squeeze every time it emerges from sleep, the together of makeup in the carpet and pee on the shower curtain....that together is finite. I don't want to rush it. I don't want to look forward to the end of this together, to the time when they just don't need me so much and I am alone again. Because this together is precious. It is a gift. It is now. By the time most of you read this, it's going to be Wednesday, but I'm not changing the title of this post because Ten on Tuesday allows me to dump all these miscellaneous unrelated things into one big post and call 'er good. I finally got around to starting my Project Life album for 2012. I'm only four months behind, so at this rate I should be done by 2014. Spring has finally sprung in the northwest! Once the thermometer hits 60, these north Idaho boys consider it summer. And time to play carwash with the hose. My kitchen has been spending a lot of time looking like this lately. I just cannot keep up with the mountain of dishes I create cooking three meals from scratch each day. I can either clean, or I can cook, but I have a horrible time trying to do both. Which is why Jarrod gave me the greenlight to hire a sweet girl to help me once a week for a couple hours. That man is speaking my love language. Today I took dinner to a friend who just had a baby. My very favorite soup, creamy chicken potato (some day I will get around to sharing the recipe), whole grain bread (that I didn't make myself, I'm not super woman) and some of the best cookies ever. It must have been a fluke, because my cookies are usually lame. My littlest guy has reached a major milestone. Not one that's mentioned in any Dr. Sears' book, but important nonetheless. You ever have one of those moments where the lightbulb blinks on, your heartrate increases, and you have an epiphany? I will never again stir Adam's peanut butter by hand. I could cry tears of joy just thinking about it. And the best part is that stirring the peanut butter up with the mixer and then putting it in the fridge guarantees that the last scoop will be just as creamy as the first. It's a peanut buttery miracle. Along the same lines, but slightly less life changing, was the day I discovered an old magazine holder is the perfect size to hold an entire package of pull-ups. Seriously, what can't you do with a magazine holder? Last weekend Haydn and Greyson experienced the 'skate park' for the first time. I was proud of myself. I observed and I took pictures, but I did not embarrass them in front of the 'cool kids' by calling out pointers. And when Haydn biffed it royally (completely layed out on his back in the middle of the ramp) I allowed him to gather his pride, and his wobbly lip, and limp painfully away from everyone before I checked him for head wounds. This little dude has been insisting for weeks that we remove his training wheels from his bike. I didn't think he was ready. I wanted him to wait. Boy, did he prove me wrong.